IE Business School - International MBA | Congratulations to our IE Woman of the Month for June! Congratulations to our IE Woman of the Month for June! 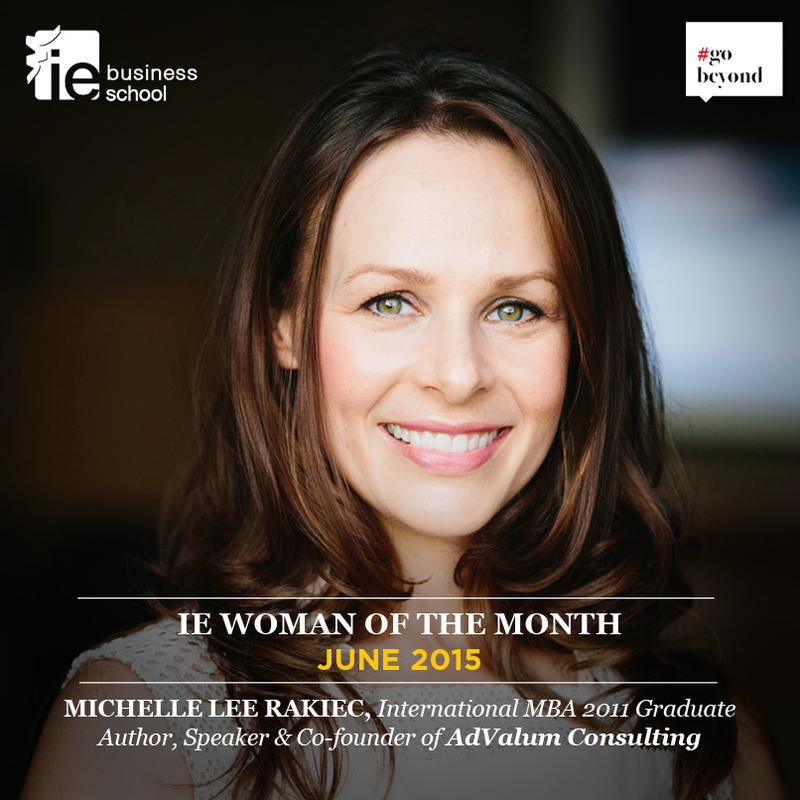 Congratulations to our Woman of the Month for June, IE International MBA alumna Michelle Lee Rakiec! Michelle is the successful author of the “Living Luxe Gluten Free” cookbook and co-author of the “IP Strategy, Valuation, and Damages” textbook. In addition to receiving the IE Women Leaders Scholarship Award as well as top honors in the Accenture International Consulting Competition, she also co-founded AdValum Consulting.